Home cleaning methods just won’t get your tile and grout truly clean, so let us do the scrubbing for you! 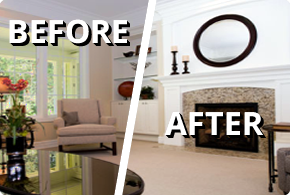 At McLaughlin’s Carpet Care our results speak for themselves. A professional tile and grout cleaning will not only leave an obvious clean and like-new appearance but it will also provide the added benefit of a healthy environment for you and your family. Over time tiles will collect dirt and contaminants that dull and darken tile and grout. This dirt, mold, and bacteria get trapped in the porous surface and are difficult to clean. We know how stressful hard surface floor cleaning can be. Save your elbow grease and let us do the scrubbing with our professional-grade equipment and cleaning agents. We specialize in Pet stain removal and Odor removal services too so no matter how dirty your tile, McLaughlin’s Carpet Care is here to help! McLaughlin’s Carpet Care will safely get your tile and grout surfaces deep-down clean. We use the latest equipment and our team is experienced in tile and grout cleaning techniques and we are IICRC certified and service both commercial and residential customers in the Longmont, Lafayette, Boulder, Frederick, Firestone and Louisville, Colorado area. What are you waiting for? 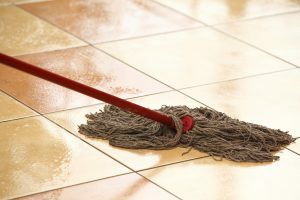 If you are looking for a tile and grout cleaning company in the Longmont area or have any questions about hard surface floor cleaning, feel free to contact McLaughlin’s Carpet Care at 303-475-4179.